Your wedding day is already around the corner, and you and your partner had not yet decided which song should you choose for your first dance on your wedding day. You partner likes oldies but you like modern songs. Your partner thinks it does not matter what song to choose but you are cracking your skulls trying to think of a good choice. 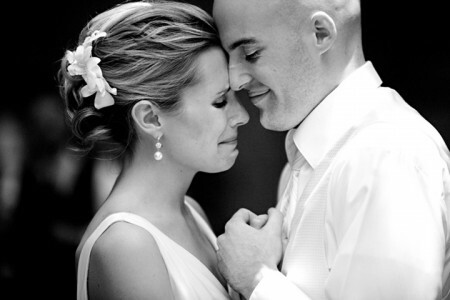 Those are among the typical scenarios when it comes to choosing THE song for the first dance. Fret not, as here are some tips to help you decide how to pick a song which suits the both of you. There might come a time when both you and your partner laid eyes on each other and a song was playing in the back. Perhaps, both you and your partner have a song the both of you consider to be as your “theme song”. Or is there a time of pleasant memory when your partner dedicated a song to you live on national radio. Think of a memory that has to do with music or song – that the both of you find pleasant. If you do not have a couple song with your partner, next best thing to do is to listen to songs, and go with ones that has lyrics which suits the best with the both of you. It could be about how loving your partner is, or how beautiful your partner thinks you are. It could be a song of undying love. Whatever it is, be sure to go through the entire lyrics to see if it perfectly suits the both of you. If the both of you do not enjoy slow and boring love ballad, go ahead and feel free to choose an up-tempo song. It is your wedding and you have every rights to choose the style of the song that both of you love and comfortable with. Be sure that it is at least danceable to. This is usual the route most wedding couples go when choosing songs for their 1st dance. Choose a mutual favorite musician, and from their song list, use all the factors above to get the perfect song for the both of you. In the end of the day it is your wedding, and it is up to you to choose whatever songs that both you and your partner want to. Among the most popular 1st dance songs for weddings are: Don’t Wanna Miss A Thing by Aerosmith, You’re Still The One by Shania Twain, Truly Madly Deeply by Savage Garden, Chasing Cars by Snow Patrol, Angels by Robbie Williams, When You Say Nothing At All by Ronan Keating, You’re Beautiful by James Blunt, Have I Told You Late by Van Morrison, Can’t Help Falling in Love by Elvis Presley and so much more. Go ahead and run a search on the internet for more ideas!